When Naina Ahuja is kidnapped as hostage days before her father, a Supreme Court Chief Justice, must sentence a terrorist, the stakes are very high. Lt. Colonel Arjun Rathore and his team are the only ones who can be trusted with the mission of saving her. What do you do when you get 2 Mills and Boons to read on a nice Friday evening when you still wondering what to do on the weekend? You do a happy dance! Well, that is exactly what I did when I received this neatly packed envelope with two books drenched in love, sent by the author. I devoured them over the weekend, basking in love, dancing in romance and playing with passion I spent two days in heaven as I read them again and again just to feel their magic one more time. As I told one of my friends recently I like to review a book only it has seeped into my mind, simmers and is cooked well to perfection. I like to live that story for sometime till I feel I am ready to talk about its nuances both good and bad. And that is the reason this review is coming up today. This one like any other Mills & Boons is a girl meets boy love story where they cannot get married for some reasons, decide to part ways only to meet again and this time they are not in a mood to let go. Sounds pretty simple, done to death and repetitive? Make no mistake the author has made the hero from Army,bring along few terrorists, throw in Ladakh and Goa as the places in background, add a fiance and fiancee for each one of them and two completely opposite families in the backdrop. Now THAT makes it interesting isn't it? This one is my favourite out of the two more so because I loved a lot of things in this. Firstly more than Naina ( the lead heroine) I fell in love with Lt. Col. Arjun Rathore ( the hero) oh man! he made my heart skip a beat everytime the author described him. And that I feel is a commendable feat for an author, to make a reader visualise a character through her words. Secondly I loved his family, they are so warm and loving! His mother, father even his little brother they can actually be called the most perfect family in the world one could ask for. Ones that melt your heart, make you all goey and say with a stupid grin on your face "Awww". The last few pages were killer. Those were the moments where I was expecting lot of emotional drama but was actually the place where I laughed the most. Usually I hate melodramatic endings though they lead to happy ones at the end of it all. For it makes me all emotional, this one made me laugh so much that I had almost forgotten that it was a book.This one is a complete package, full on entertainment. 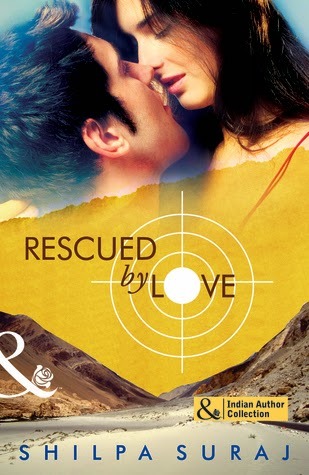 High dose of romance, action and drama it is a page turner for sure. Highly recommended read - for adding romance, to learn the ability to laugh at some of the most weirdest situations in life, to realise what it means to have a wonderful family to fall back on in life and most importantly how it feels to love and be loved! 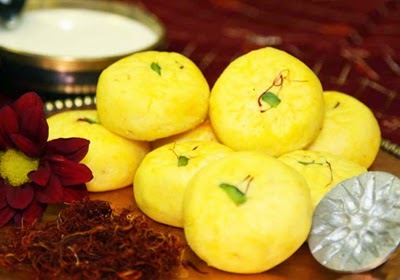 This book is like malai peda - completely delectable!